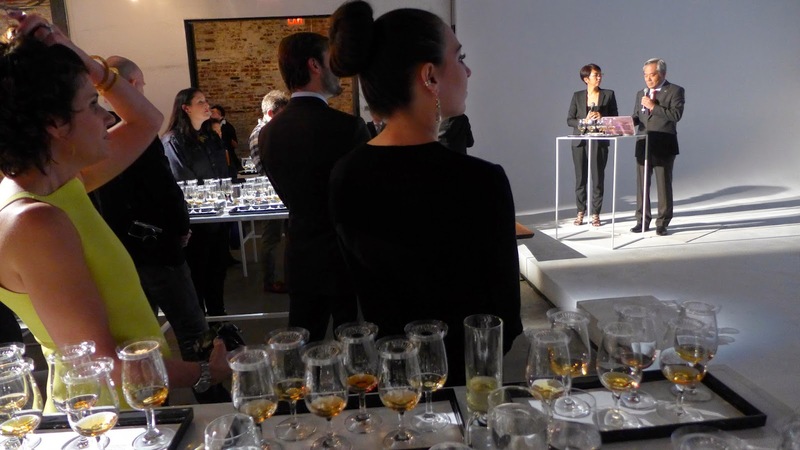 The structured tasting treats each of the components as an individual instrument in an orchestra. Then you finish with the ensemble. 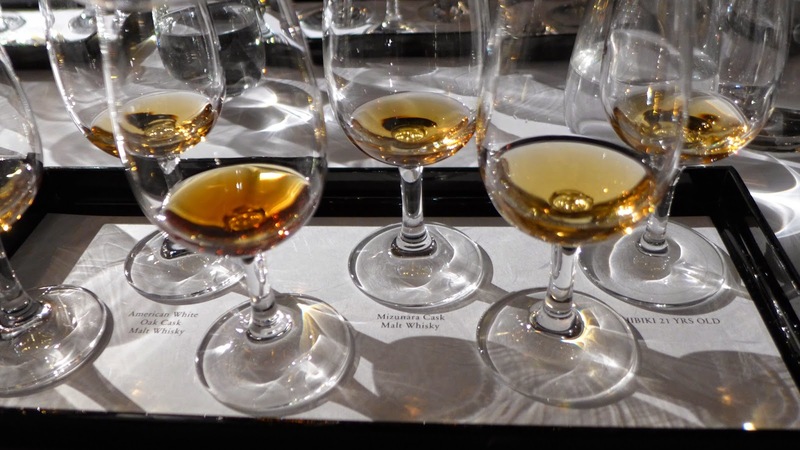 Suntory spoke a narrative of obsessive perfectionism in the crafting the many components and, indeed, the individual whiskies, from the grain, to the ex-bourbon, sherry cask, and Japanese oak all were stellar. Indeed, they overshadowed the ultimate blends in some ways. And this got me to thinking - as I have many times before, about the divide between the individual and the collective and the issue of averaging when it comes to beauty. 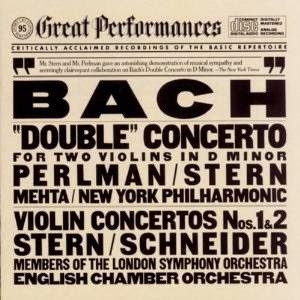 For example, in Bach's Violin "Double" Concerto BWV 1043: I Vivace and III Allegro particularly - the 1960s version with Itzach Perlman and Isaac Stern and Zubin Mehta and the NY Philharmonic - all these elements are laid bare. Bach's piece, among the most brilliant and beautiful pieces of music ever written in my opinion, features a tension, fire, and relentless drive in an aching minor key. The melody shifts back and forth among the orchestra, and two dueling violins. In this case we have the youthful brilliance of Itzach Perlman ascendant taking on the old master, Isaac Stern. Some times they play together and other times taking turns with the same melodic phrases, each one challenging the other to match the virtuosity, timbre, and verve just laid out. Beauty happens in the massed strings. The solos are not timbrally as rich, but they are more exciting, delineated, and clear. Each is a tightrope act. It's the solos I remember and why I put this track on over and over again. The sonics of the recording are pretty flat, but the energy these two geniuses bring to celebrating (and out-doing) each other produces the finest performance of this amazing piece. Is it more powerful and beautiful when they play together or when they are alone? It's subjective, but I find the moments when they are alone to be more affecting. But it's the contrast of the back and forth that really makes it that way. 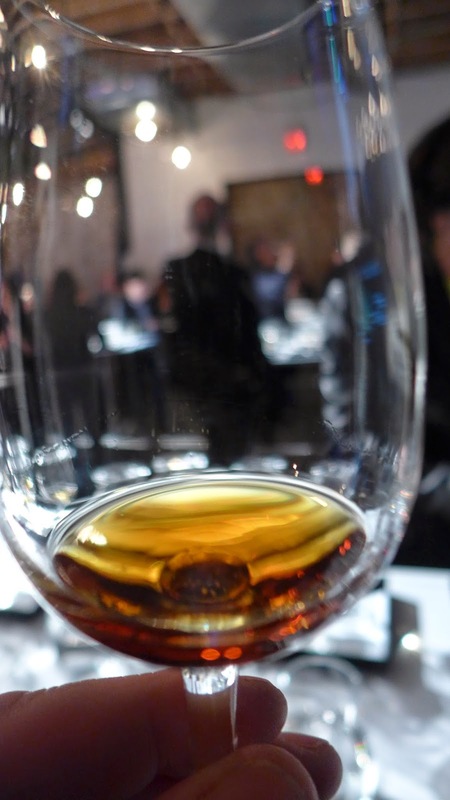 "Blends can be delicious but the definite sense of terroir is lost. For example, when I drink Johnny Walker Black Label I enjoy the sweet heathery Highland opening, the firm malt foundation, and then the whiff of peat smoke and oak in the finish. But the lightness and glossed sameness of each encounter I sense the blender’s art in barrel averaging and expression blending as a way of making beauty exactly like the way a number of faces computer averaged looks very pretty – but not like any one human’s actual face." 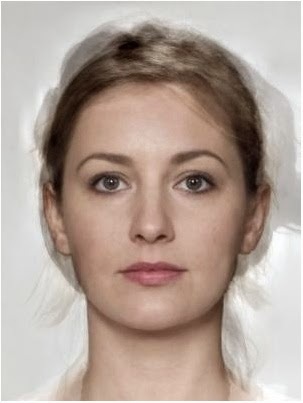 "These averaged faces are attractive, but they are not real. Real faces have imperfections that reflect their actuality, their history, their individuality. These faces are more attractive than most people, but somehow cannot match the great beauties who have real character. The same thing goes with whisky. Barrel averaging and blending produce a smoothed impression, more perfect and beautiful than the average barrel, but without the depth of character and individual fidelity that you can find in a great cask." "In the 1800s, Sir Francis Galton created composite images of faces by projecting face photographs of many different individuals onto a single piece of photographic film. This was done in an effort to visualise the facial characteristics that were common to a particular group of people (e.g. to represent the typical face of criminals or soldiers). When Galton showed these images to his colleagues, however, they unanimously agreed that these composite faces tended to be more attractive than the individual face photographs from which they were manufactured (i.e. the composites tended to be more attractive than their constituent faces)." Here's an example. I selected the 3 faces on the left, below and then averaged them and got the face on the right. It's rather stunning. The individual faces are each distinct, unique and individual. They include features that are deviations from the norm. The averaged face pulls all these deviations towards the mean - a "regression to the mean" which produces more average proportions, angles, and sizes, to the features. Our human interpretation of this is "beauty". By picking flawed faces it highlights the improvements. If you tossed Grace Kelley's face in there, or any other face you love (Meryl Streep), you might consider the end result a step down, however. But take the point: beauty is harmony and averaged to the mean is harmony. Her's the interface where can select many faces to average, exploring the process. This is, in a visceral and immediately comprehensible visual way, what's going on with barrel averaging and good blending. Individuals - "warts and all" become beautiful when they regress towards the mean in large batch averaging and blending of whisky. This was the genius of 19th century Scotch blenders like John Walker, John Dewar Sr., and Archibald Ballantine, who took individual malts that were inconsistent and sometimes unpleasant and produced blends which created a happy medium that possessed, somehow, more beauty than the average component. Alwynne provides fantastic tasting notes and some insights into those expressions - which jibe very well with what we drank. It's also possible that they provided examples of what went into Hibiki - which would have been older. 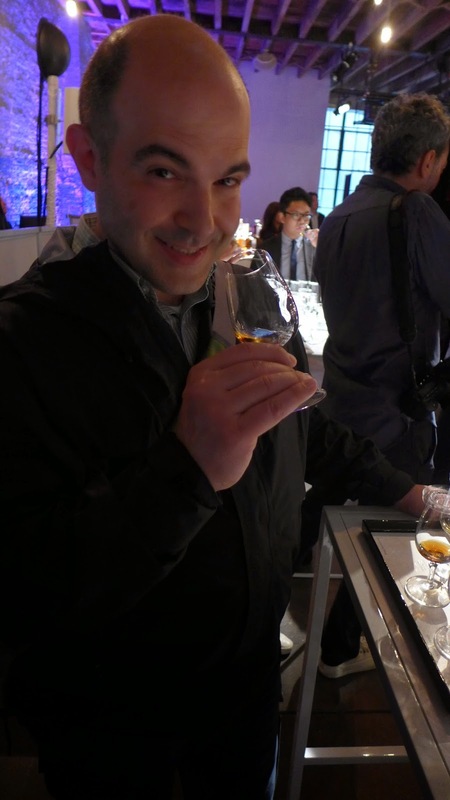 Update: Thomas Øhrbom of http://www.whiskysaga.com/ just provided a photo of a menu at the Yamazaki Distillery bar which showed that Suntory does sell the Hibiki 17 ingredients (fully 17 years old and over-proof) as pours there. I will use the age and proof statements from that menu in the post below. One thing is for certain - these Yamazaki wood examples were superb - and they were clearly a higher proof than the Hibiki blends which followed them. The following tasting notes are a composite of notes taken at the event and follow-up tasting sessions at home using samples I took from the event. I'm providing composite star and points ratings to underscore fine differences in how I rated these excellent whiskies. Sarah B. 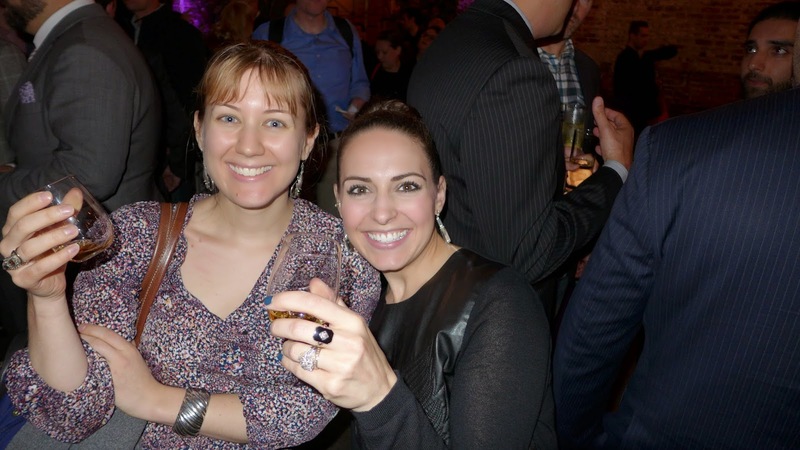 (left) and Allison Patel of Brenne (right) get into the Chita grain. The intensity of flavor definitely indicates a bit higher proof than 43%. Tasted head to head with Nikka Coffey Grain (45%) and Greenore 15 (43%) (the subject of an upcoming post) the Chita was definitely more intense and richly flavored. And while all 3 were delicious, the Chita took the grouping hands down. A really special and very tasty set of flavors. Nose: sunflower, honey, dust, vanilla, creamy custard, and some distant notes of red bean and sawn oak..
Palate: lush sweet vanilla cream opening with creme broulle custard. Light and elegant mouth feel. Butter and creme broulle with some herbal aspects of sunflower and gorse. The sweetness becomes incense-intense on expansion, waxing in buttery Scotch-malt highland flavors with a hint of salt. The expansion continues into rich malty flavors and white oak. The finish is moderately long and lightly herbal. Just beautiful grain whisky - stunning and intense and as fully flavored as any grain whiskies under 30 years I've tried. Palate: honey and floral vanilla on the opening - which was big, sweet and explosive. Honey, brown sugar, stone fruits and rich malt on the mid palate. The bourbon barrel's influence is clear, but the Yamazaki distillate is in command with fruitiness, and Highland malt flavor fully in the Scotch whisky wheelhouse. The turn was full of rich oak. The finish long and satisfying with oak tannins, herbals, and a hint of char. Stunning. Yamazaki Mizunara Oak - presumably 17 yo 52% abv. Nose: Complex and sweet with floral perfumed intensity, stone fruits and cherry and a nutty (almond or pecan) quality that rode over a buttery aspect. Hatbox oak lurked underneath. Palate: Big, intense, and stunning on the opening with candied citrus and rancio. The expansion brought tropical fruits and darker complexity of tobacco, some coastal iodine notes, and a bit of char. Spiciness and herbal bitters blossomed on the turn and the finish - which was incredibly long and amazingly satisfying with herbs and a touch of smoke. This was the pour of the night for me. A drop of water took the spiciness higher, and enriched the mouth feel and sweetness. Stunning. The spiciness had a clove/nutmeg spice aspect, rather than peppers. Yamazaki Sherry Oak presumably 17 yo 49% abv. Nose: sweet sandalwood, cocoa powder, mashed dates, old polished oak furniture. Deeper, some plum fruit and magnolia florals. Palate: The opening is unexpectedly dense and dry, with focused oak, dark and tannic, up front with bittersweet chocolate, raisins, and prune essences. The mouthfeel is light. The expansion brings a ton of congnac-like rancio, old sherry, and oak furniture. The turn is bitter with tannins. The finish is long with dark oak, bitters, rancio, and some residual spiciness. Adding a few drops of water introduces a kiss of sweetness up front, more body to the mouth feel, and a note of malty molasses to the mid-palate and finish that is beguiling. The finish takes on a vibrant spiciness that I have come to associate with Spanish oak. This is downright luscious with a drop of water - strongly evocative of great Glendronachs. Hibiki 17 - 43% abv. Nose: floral plum blossom, magnolia, and honeysuckle. Richer aromas of honey, honeycomb, tropical fruits, linen, light oak and mineral. Palate: sweet and floral on the opening, with honey, vanilla, and the characteristic Japanese musky sweetness I used to call "orchid" (until Sarah B. challenged me that most orchids don't have an aroma). Purple fruits (plum and fig) and light hints of lighter green fruits (quince, green apple, and mango) and malt richness on the expansion. Rising spiciness and oak on the turn. The finish is fairly long with spiciness, oak tannins as light bitter, lingering toffee and hints of floral fruitiness. Just lovely. A few drops of water increases the sweetness and, particularly, the spicy notes in the mid-palate and finish but reduces the floral intensity of the nose and opening. It's worth trying with a drop, however, as it ends up making Hibiki 17 a tad more lush and involving overall. Nose: richly floral: magnolia and roses, dates, honeyed cakes, tropical fruits, linen, and sharper notes of dark oak. Palate: big dark fruity sweet opening with plum jam, some complicated filigreed incense sherry or port dark vinous sweet, and toffee. There is also that particularly Japanese complex sweet fruitiness which I have trouble putting a name too, but is diagnostically Japanese. The mid-palate expansion brings clove-cinnamon spiciness, a mixture of dark fruits like plum and fig and lighter acidic fruits like green plums, green apple, pineapple and mango and clear note of sherry with cocoa. Oak tannin shows up too in the mid-palate and the turn adds sheery-like rancio, dark oak, and herbal bitters. The finish is long, sherry rich - nutty and cocoa - and lightly herbal as well. Conclusions: The big issue with Suntory in the US is the availability of the good stuff in the US. 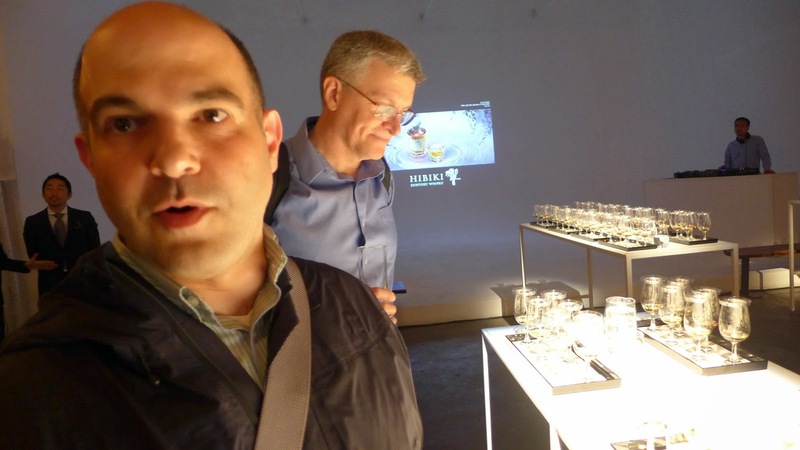 When Suntory took over Beam International earlier in the year I wondered aloud (i.e. on this blog) whether this would mean more availability of the top expressions here. There was little reason for hope - given the limited quantities. The timing of the Hibiki 17 and 21 introduction in the US indicates, to me, that it was probably in the works even before the purchase of Beam. But it's clear the US market matters to Suntory and that's great. Maybe part of it is that Anchor is now importing a big portion of the Nikka line (and we American's are all the richer for the competition). Last fall brought Hakushu Heavily Peated to the US, now this Fall we get these Hibiki gems. However this tasting left me pining for Chita Single Grain and the Yamazaki Four Woods series which are not available in the US. They were the unintended stars of the show. 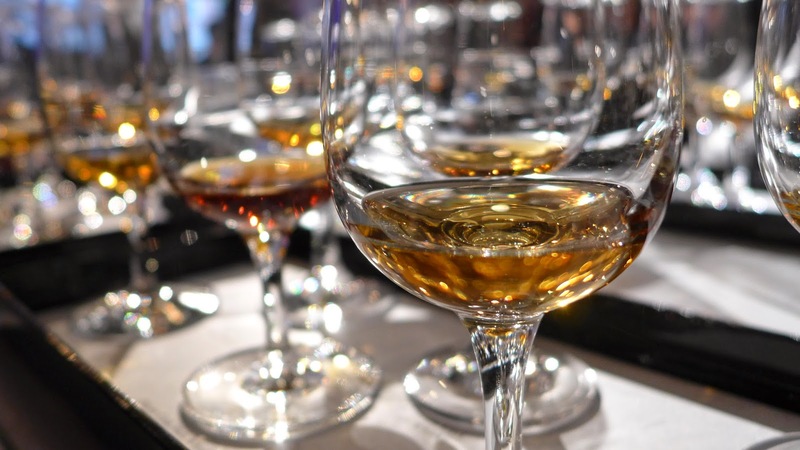 They were introduced as examples of the quality crafting that goes into Hibiki, but, tasted head to head, they rivaled, and in some areas exceeded the Hibikis. Part of this almost certainly is because they were bottled at higher proof. This left me pining for Hibiki at higher proof. The tasting underscores the issues between the beauty of the individual voice and power of the massed chorus introduced earlier. Just like those moments in the Bach Double Concerto when Perlman and Stern took solos, the Yamazaki individual wood expressions were direct, powerful, and compelling. The Hibiki blends filled in with greater complexity and balance, but less compelling interest overall. Part of this I firmly believe is the fact that Hibiki's are lower proof. But part of it has to do with the nature of blending itself. It is intuitive that a combination made of fantastic components will be fantastic - and the Hibikis are. But it says something to me that the brilliance of the individual components is not immediately additive to yield a whole greater than the sum of its parts. In the blending to yield Hibiki something is gained and something is lost. Gained is complexity, a cohesive beauty, and evolution across the palate. The Hibikis are glorious. 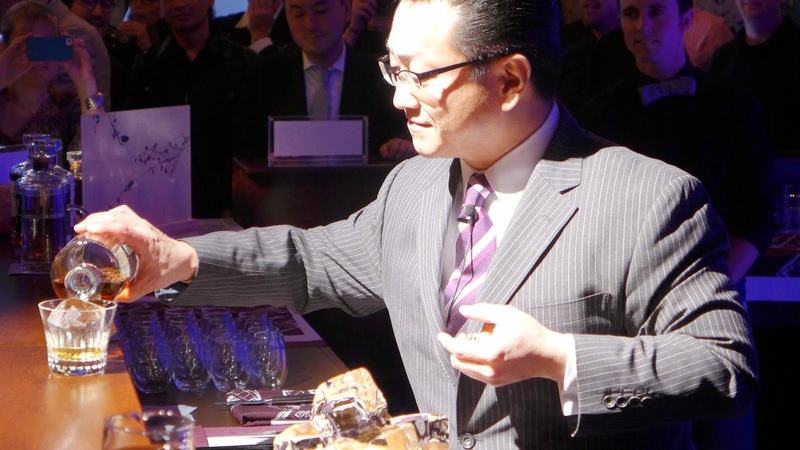 But lost is the power and distinctive natures that made tasting the Yamazaki woods thrilling. 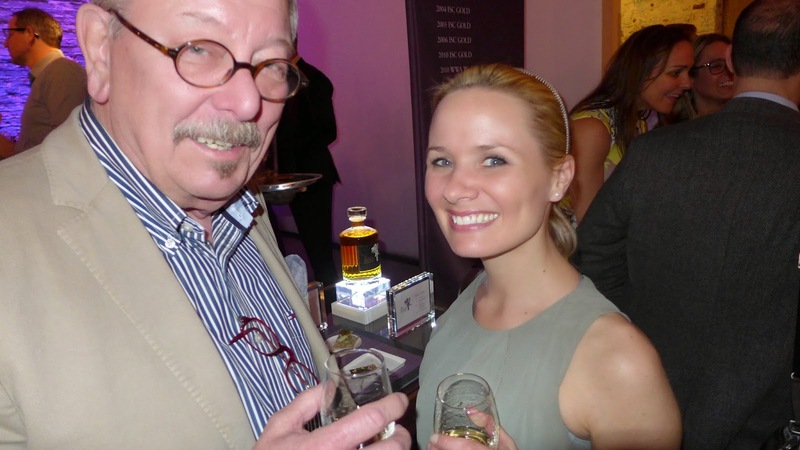 After the tasting the Hibiki launch event was glorious too. 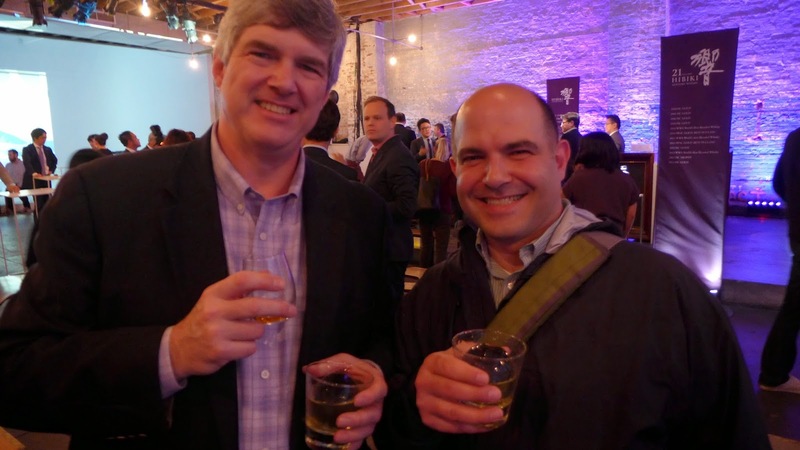 Malt Maniac, Mark Gillespie, produced several posts from this event on his top podcast and blog WhiskyCast.com. 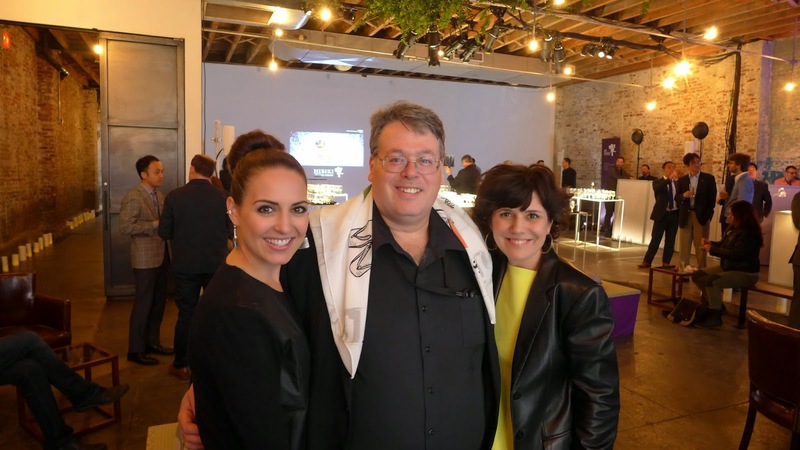 The author meets up with with Allison Patel (left) and Sarah B., right. Great analogy between the symphony of music and blended whisky. What I think you really nailed is the point that blends of the past were a sum better than their parts. (I.e. smoothing over inconsistencies and taming the uncouth.) Now, whisky makers are much better at producing consistent and stand out single malts that we're left asking is blending necessary? Are the parts greater than the sum? It seems the answer here is yes. Though there is plenty of room on the shelf for all of them! "Is blending necessary"? I'd say so. 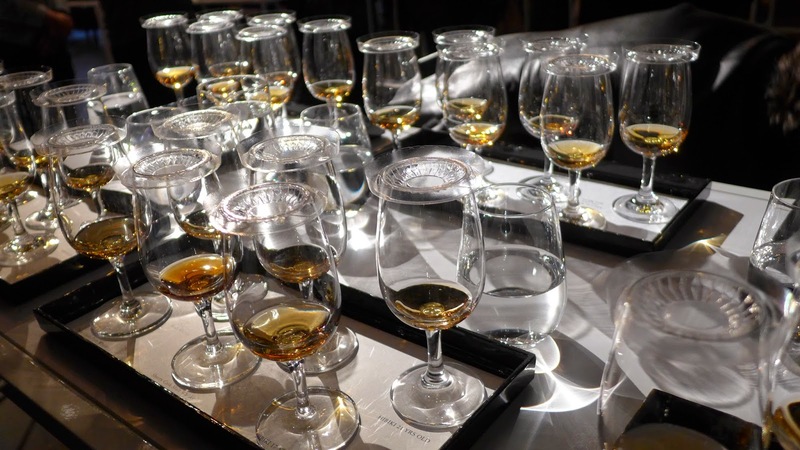 The vast majority of whisky consumed is blended or large batched. 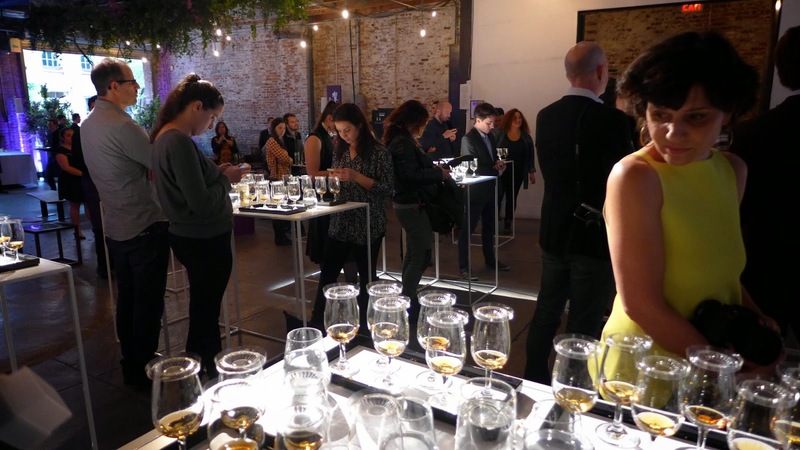 It's clear that easy drinking approachable whisky is desirable by the mass audience. Not to say all blends are unchallenging - not in the least. And it's not just traditional blends with century-old traditions. There are new trends in blending from such innovative houses as Compass Box and High West. 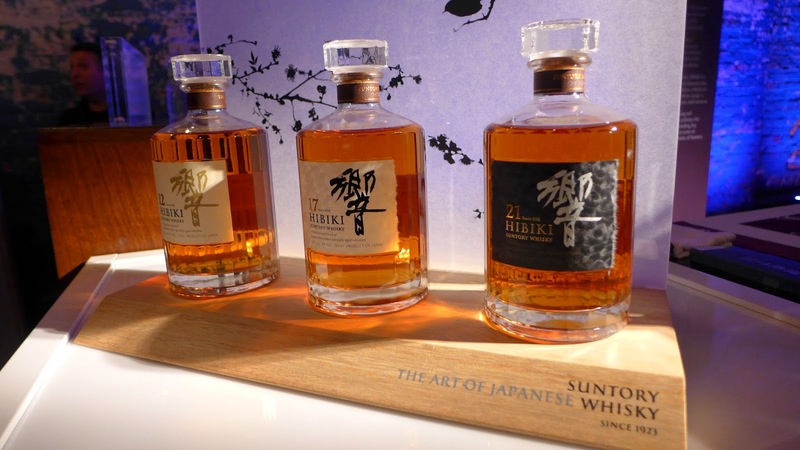 I'd put Suntory's Hibiki in that "innovative blending" category too. The conventional wisdom that the malt in a blend is the good stuff and the grain is the problem is completely exploded when you taste Chita grain whisky. It's spectacular. Thanks to Neyah White I had tasted it before, but many people that night were tasting it for the first time and they were blown away. There's little doubt that Chita elevates Hibiki. 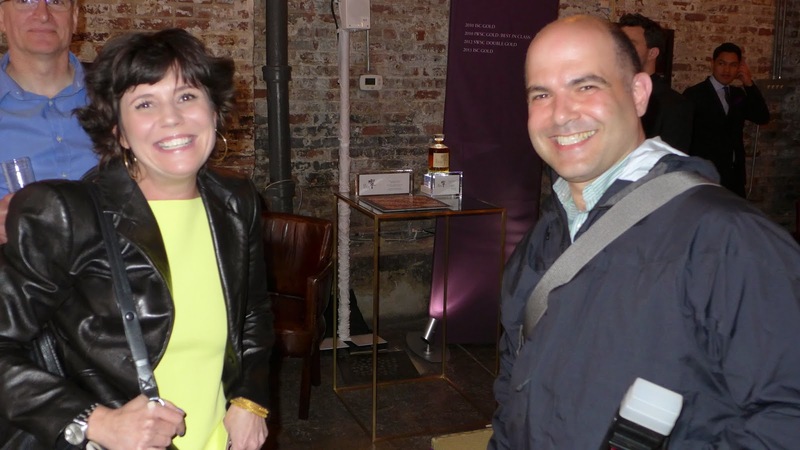 All that being said, the whisky landscape is utterly different now than it was 20 years ago and the main difference (beyond overall popularity and market growth) is the explosion in single malts, limited editions, and travel retail market editions. The old marketing goal of making a whisky that a consumer would settle on for life is almost totally gone. Modern consumers are looking for new experiences and thrills. 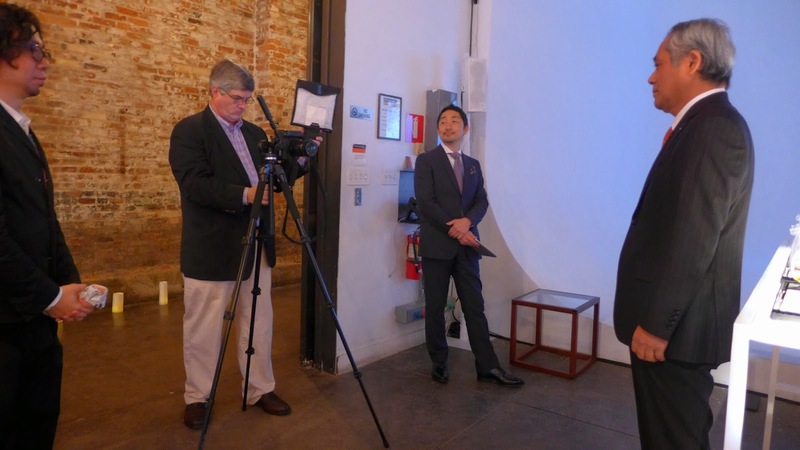 The enthusiast and luxury markets are driving that aesthetic. Total sales volume aside, look at how much shelf space in better liquor stores is dedicated to single barrel bourbons, single malt Scotch and other specialty expressions. You've done a beautiful (not meant to be a pun on the topic!) job discussing blends versus individual ingredients here. Sounds like this was a fantastic event! I've done a lot of thinking lately on my own preferences for blends in coffee (vs. single bean) and blends in wines, though nearly all wine is a blend to some degree, even if only one varietal makes it on the label. Part of the appeal of blends to me is the mellowing of the end product: single bean coffees are often too acidic (fruity) for me, though many people love that, and wine blends can be a smoother, though perhaps less intriguing, drinking experience. Perhaps some people prefer the beauty of the unions of complementary flavors in blends while others find their beauty in the unique qualities of the singular components. 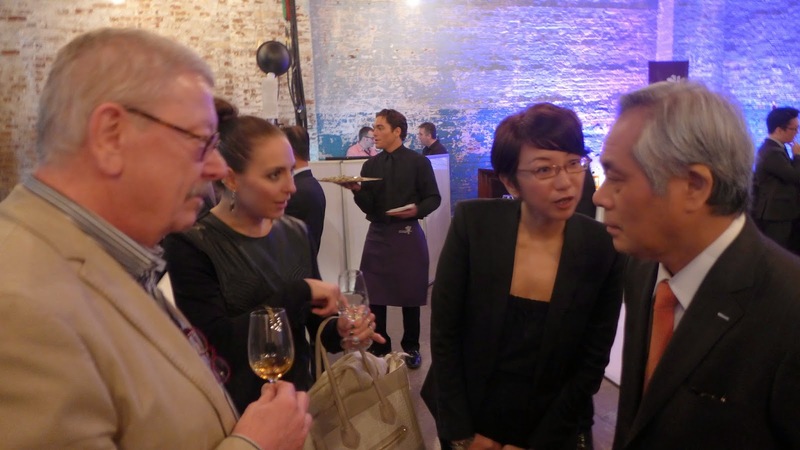 My first evening in NYC and unexpectedly a guest at the HIBIKI 17YO and 21YO presentation! A lot of whisk(e)y afficionado's, great drinks with and/or without ice/water. Delicious food, a very warm reception by lovely people! Josh, you did a good job. I think I'm gonna love New York and its New Yorkers!! !